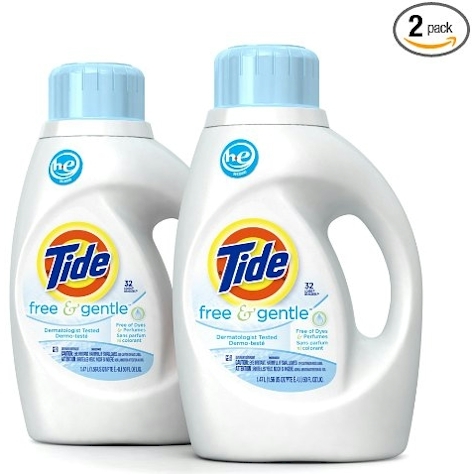 This 2-count pack of Tide Free & Gentle 50 oz. liquid laundry detergent is priced at $12.48 at Amazon, but "clip" the online $3.00 coupon, and that price drops to $9.48 with free Prime shipping ($4.74 per 50 oz. bottle).